You must be a member of the The Hague Fabulous & Fun Over 40s! Group to attend this activity. Would you like to join this group? Chocolatiers, chefs, pastry chefs and young talents await you at Salon du Chocolat in Brussels for a celebration of Belgian chocolate in all its forms. 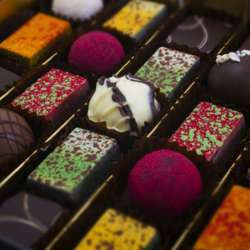 More than Protected content , tastings, workshops, live demos, a fashion show, entirely dedicated to chocolate and cocoa.